Richard Lenski pulls frozen bacteria cultures out of a freezer in the lab on Thursday October 15, 2009. Richard E. Lenski, the Michigan State University John Hannah Distinguished Professor and evolutionary biologist renowned for his E. coli Long-Term Experimental Evolution Project, has received a 2017 Friend of Darwin award from the National Center for Science Education (NCSE). Lenski is one of only three scientists nationally to receive the award this year. The Friend of Darwin award is presented annually to a select few whose efforts to support NCSE and advance its goal of defending the teaching of evolution and climate science have been truly outstanding. “It would be hard to think of anybody who has done as much to show that evolution is among the experimental sciences than Rich Lenski,” said NCSE’s executive director Ann Reid. In 1988, Lenski began an experiment with 12 populations of E. coli-all started from the same ancestral strain and all living in identical environments-to see how similarly or differently they would evolve. He initially wanted to keep the experiment going for at least a year and about 2,000 bacterial generations, maybe longer. The long-term experiment with E. coli is now past 66,000 generations and will have its 29th birthday later this month. “I feel so honored to get this recognition from an organization that fights to make sure students have the opportunity to learn about science and the evidence it can provide,” said Lenski, who is also a founding member of the BEACON Center for the Study of Evolution in Action at MSU. “Lenski’s work shows explicitly how genotypic and phenotypic variation arises in separated populations,” said Stephen Hsu, vice president for research and graduate studies at MSU. 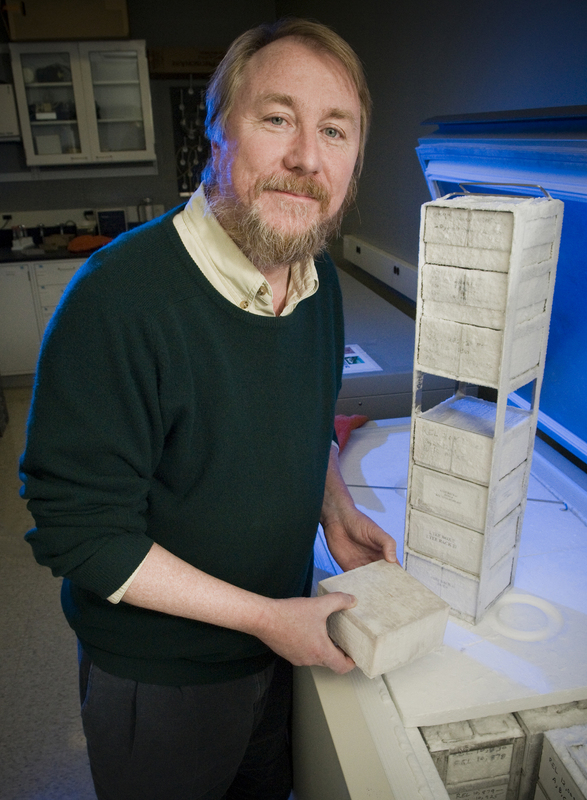 “It provides a direct experimental demonstration of evolution and adaptation at work, which can be queried at the level of DNA itself.” Lenski holds joint appointments in the Departments of Integrative Biology and Microbiology and Molecular Genetics in the College of Natural Science, and the Department of Plant, Soil and Microbial Sciences in the College of Agriculture and Natural Resources. He is also an MSU AgBioResearch scientist. In addition to Lenski, Edward J. Larson, the Pepperdine University historian and legal scholar who won a Pulitzer Prize for his 1997 book about the Scopes trial, Summer for the Gods; and Daniel J. Phelps, a geologist and critic of a young-earth creationist organization headquartered in his native Kentucky, were also 2017 Friends of Darwin award winners. 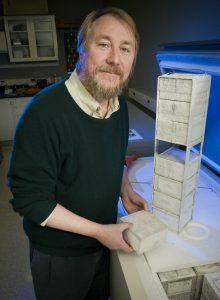 Robert Pennock, an MSU professor in Lyman Briggs College, the Department of Philosophy in the College of Arts and Letters, the Department of Computer Science and Engineering in the College of Engineering, and the Ecology, Evolutionary Biology and Behavior Program in the College of Natural Science, and another co-founder of BEACON, also won a Friend of Darwin Award from NCSE in 2003.